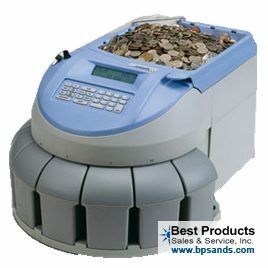 Best Products sophisticated range of coin counting and coin sorting technologies transform the way coins are handled. They change complex verification tasks into fast, straight forward processes, ensuring that your count is fast and accurate – every time. Best Products represents multiple brands, ensuring that you get the most appropriate solution for your needs. Drive traffic. Enhance customer satisfaction. Increase deposits and sales. Customer satisfaction and loyalty are essential in building long lasting customer relationships. 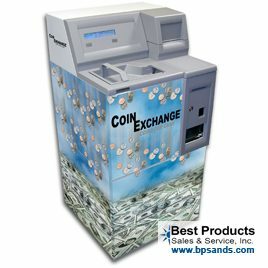 Self Service Coin attracts customers to your business. Their redeemed coin can then be deposited at your financial institution or spent at your business.